Tornado sirens and police body cameras are just a couple of the things Metro Nashville Public Safety and Law Enforcement officials are asking get funding in the next fiscal budget. 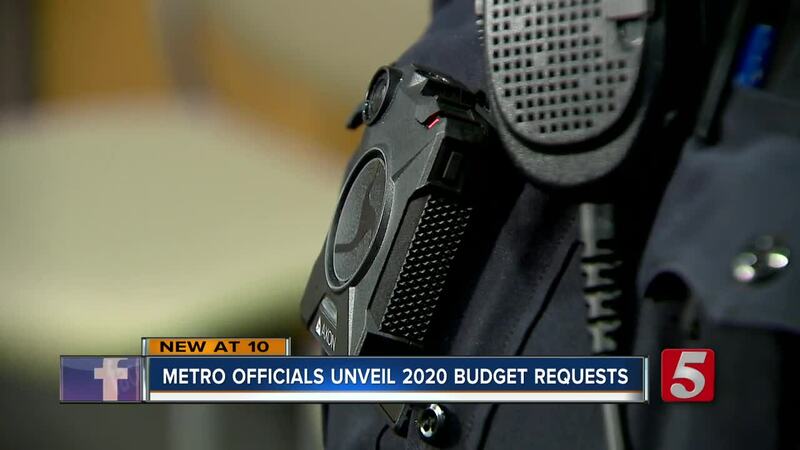 NASHVILLE, Tenn (WTVF) — Tornado sirens and police body cameras are just a couple of the things Metro Nashville Public Safety and Law Enforcement officials are asking for in the next fiscal budget. Metro Nashville law enforcement and public safety officials unveiled their 20-20 budget request Wednesday morning. “Our total ask would be actually $10,800 just for the office of emergency management,” said Director Chief William Swann, Office of Emergency Management. And that office is looking at upgrading the county's tornado siren system. Right now, there is $500,000 set aside. “The total cost would be a little more than 1.7 million,” said Swann. That money will have to be allocated from either the department’s 4% Budget or its Capital Budget. Both are not finalized for FY20. However, Swann says he wants to see upgrades; he said currently if a tornado is spotted in the county the sirens go off everywhere. “The thought was going to the new polygon system which would be more so directed to whatever zone that the tornado was in, where the sirens would actually go off,” said Swann. OEM is also asking for $5,000 in upgrades for cameras that will monitor the potential for major flooding in areas like Mill Creek. While the Metro Police Department is asking for millions for body cameras. Anderson says more than 20 officers have already conducted field testing for body cameras. Fifteen million dollars has already been set aside to purchase a camera for every officer. The next step Anderson says is narrowing down a vendor and funding for 36 new positions to oversee the program. “We're asking to create 24 new sergeant positions, one per shift per precinct,” Anderson said. The other 12 spots would include civilian positions to add technical support skills for the cameras. Police also want funding for a 9th precinct in Antioch.